During the duplication process, we check the burning, the printing and the final packaging at seven (7) different intervals to make sure your order will be received just as you expect. You see, making a DVD duplication service cheap has to be done right every time because our low DVD duplication prices make our profit margin so small, we cannot afford an error in our CD and DVD burning, printing and packaging process. You see, the only way DVDs for Less can afford to offer such low DVD duplication prices is to make sure that our DVD duplication services are exactly what you expect to receive when you open your FREE, 3-day Priority Mail shipment. 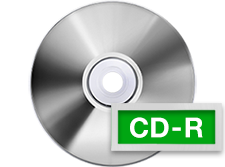 Cheap DVD duplication does not mean that our product is cheap – only that we have streamlined and automated the CD and DVD duplication copy and burn process so that you do not pay a nickel more than necessary above our labor and materials cost. So when you read, “DVD duplication service cheap,” it means that we have done everything necessary to deliver the Internet’s lowest prices to make our DVD duplication cheap and affordable for you. Why does DVDs for less offer FREE Priority Mail shipping? How come we are the only national CD and DVD duplication and manufacturing duplicator in the USA to pay for the shipping back to you anywhere in the USA? We know that if we are to seriously compete with our low DVD duplication prices, we also need to be just as convenient and affordable as other DVD duplication services down the road where you live. That’s why we offer FREE, 3-day Priority Mail shipping. Does it cost us money to offer free shipping? You bet. Priority Mail shipping is not cheap, either! We pay so you don’t have to pay. That’s the American way! FREE shipping is just another reason why our valued clients appreciate our Cheap dvd duplication service. Finally, our service is a lot more than just CD and DVD duplication cheap. We often copy family memorial services, weddings, vacations, graduations and church services that speak to our hearts. DVDs4Less knows that these are highly important and extremely personal events in your life. Happy events? Sad remembrances and inspirational messages deserve the care and respect you expect even from a company that offers a DVD duplication service cheap. DVDs4Less is a small family business that takes your trust seriously. 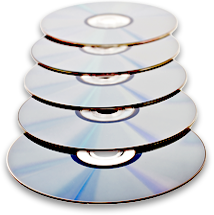 We know you are depending upon us to not only offer DVD duplication cheap so that it is affordable, we also understand that Cheap dvd duplication service prices still require fast, timely and efficient delivery of your CD and DVD duplication back to you. 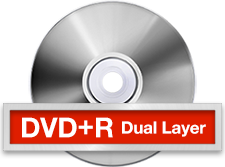 DVD duplication service cheap – that’s what we offer with humility, gratefulness and pride at DVDs4Less.